Q. What is a Hoge Building request? 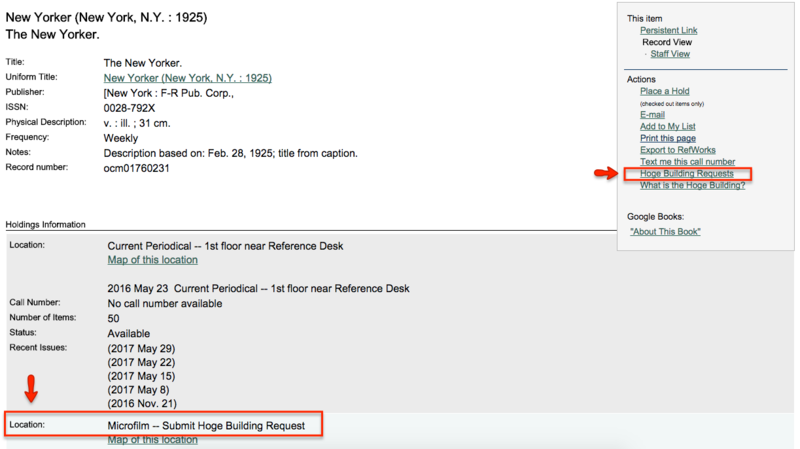 When you are searching the library catalog and want to access books, microfilm, microfiche, or journals marked with the location "Hoge", the Library's on-campus storage facility, you can request the item by clicking on the "Hoge Building Requests" link located to the right in the item's record.